It was 1948 in post-war France when mystery writers Pierre Boileau and Thomas Narcejac met for the first time at an awards ceremony for the Prix du Roman d'Aventures, a literary award for crime fiction. Narcejac received the prize that year and Boileau had taken the honor ten years earlier; in another two years they would become writing partners. Together the pair forged their own approach to the French mystery novel, placing new emphasis on character and suspense. Their first novel was not immediately published, but their second, Celle qui n'était plus, was adapted to film by director Henri-Georges Clouzot. Re-titled Les Diaboliques and released in 1955, it became a suspense classic. The writing duo’s next book, D’entre les morts (From Among the Dead), appeared the same year. A moody psychological thriller, it tells the story of former police detective Roger Flavieres who agrees to help shipping magnate Paul Gevigne, a one-time college friend, by keeping an eye on the man's unstable wife Madeleine. Flavieres is a disaffected loner living in Paris at the outset of World War II. He broods endlessly, roams empty streets at night and listens to war reports on the wireless. He loathes Gevigne, envies him, and soon covets his elegant, morose wife to the point of fixation. Flavieres first meets Madeleine when he rescues her from a leap into the Seine. They form an off-balance alliance; he is bewitched by her and she calls him “my poor friend.” When one day she takes him to a remote church with a high tower and disappears up into the belfry, Flavieres is unable to follow. His detested lifelong acrophobia has paralyzed him on the steps. And then, through a window, he sees Madeleine’s body plummet to the ground. Before he flees the scene he laments, “Poor little Eurydice! She would never come back from the nothingness into which she had plunged.” Flavieres will next vanish into the war and out of the country, telling no one, not even Gevigne, what he has witnessed. 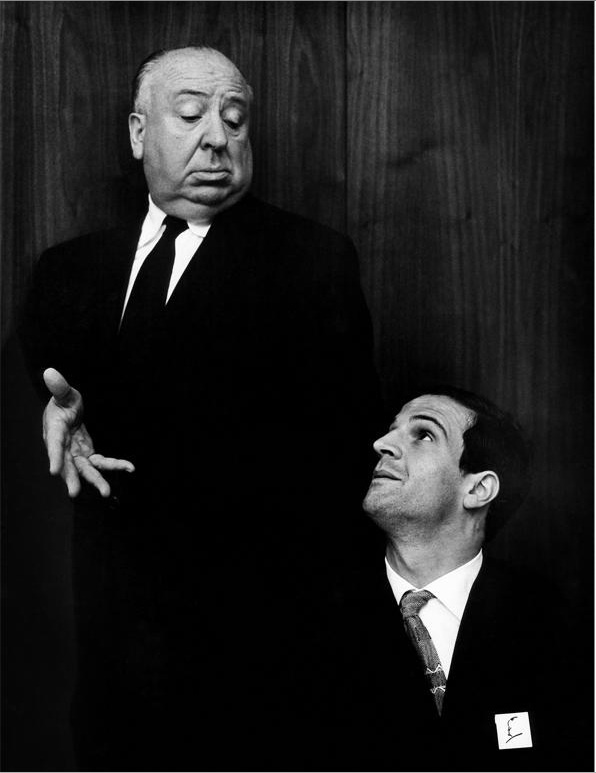 Paramount Pictures bought the rights to D'entre les morts for Alfred Hitchcock not long after it was published. The film went into production in 1957, a significant point in the director's career. Though Hitchcock's last three films of the 1940s had failed to attract audiences, he began the 1950s with a series of box office successes for Warner Bros. that reestablished his reputation. Stage Fright (1950) was respectably popular, Strangers on a Train (1951) was a rousing hit and I Confess (1952) achieved modest success. In 1953, Hitchcock unearthed his muse Grace Kelly and cast her for the first time - in Dial M for Murder (and 3-D). It was very popular. 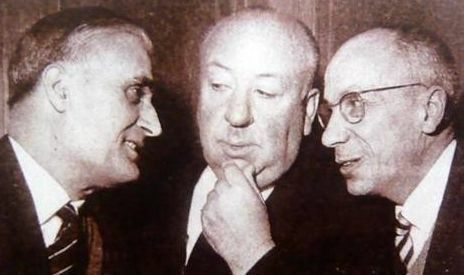 In 1954 Lew Wasserman brokered a deal between Hitchcock and Paramount that virtually opened the skies for the director. He would be able to work independently, be granted production budgets far more robust than he'd known at Warners, and would own those films he both produced and directed. The films Hitchcock made for Paramount during the '50s comprise an oeuvre within his oeuvre: Rear Window (1954), To Catch a Thief (1955), The Trouble with Harry (1955), The Man Who Knew Too Much (1956) and Vertigo (1958). North by Northwest (1959) would seem to be a part of this collection but it was made for MGM. Granted free rein and big budgets, Hitchcock was able to operate both autonomously and lavishly. 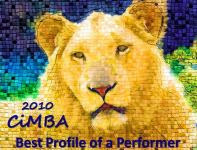 He was able to attract top stars as well as handpick his creative and technical team. Involved in most or all of these films were cinematographer Robert Burks, film editor George Tomasini, associate producer Herbert Coleman, composer Bernard Herrmann and costume designer Edith Head. On Vertigo, legendary title sequence designer Saul Bass began the first of three collaborations with Hitchcock. All of the Paramount films were shot in Technicolor and, beginning with To Catch a Thief, all were filmed in the VistaVision wide-screen format. There was more. In 1955 Alfred Hitchcock Presents debuted on American television. Hitchcock became a popular TV personality as the series host who opened and closed each episode with dry wit and macabre humor. The series would run until 1962 and help to make him a wealthy man. At the same time, Hitchcock’s reputation as a serious filmmaker was gaining momentum. In the summer of 1956 a month-long Hitchcock retrospective was held at the esteemed Cinemathèque Française in Paris, and in September the influential French film journal Cahiers du Cinéma devoted an entire issue to his work. In France during the 1950s, the cinema of Alfred Hitchcock became a subject of deep and lengthy discussion. Eventually, the French view would make its way around the world. And so it was that Alfred Hitchcock embarked on the film adaptation of D'entre les morts just as he arrived at the pinnacle of his career. In 1940 Hitchcock had battled producer David O. Selznick for creative control on the 'picturization' of Rebecca. When he adapted Patricia Highsmith's Strangers on a Train to the screen in 1951 it was under a tight Warner Bros. budget. Regardless of power struggles and financial constraints both films became classics on the strength of Hitchcock's mastery of his medium. By the time he began the film he would christen Vertigo, Hitchcock had reached full maturity as an artist and possessed the resources and the control to conjure a wide-screen Technicolor dreamscape; a very personal expression of timeless themes. Familiar motifs surface in Vertigo - voyeurism, the lure of an exquisite blonde, a man wrongly accused. And though its plot is set in motion by a mystery and laced with tension, Vertigo was never intended to be a thriller or tale of suspense. Instead, Hitchcock conceived a meditation on desire and illusion, obsession and loss. Rather than "putting the audience through" nerve-jangling terror, he sweeps the viewer into an emotional tailspin. When Roger Flavieres returned to Paris after the war, he found that Gevigne had been killed in an air raid as he fled the police scrutiny that followed his wife's death. Even Madeleine's grave was blitzkrieged into oblivion. Despondent, Flavieres muses that when Madeleine plunged to her death, he died with her. Then one day in a movie house he spies a woman in a newsreel who closely resembles her. He manages to locate this woman - Renee Solange, the mistress of a Marseille black marketeer. Flavieres, who has begun drinking steadily and is slowly losing his grip, pursues the woman and despite her denials, tries to bully her into admitting she is Madeleine. He manages to lure Renee away from her lover and then begins making her over in the image of Madeleine. Finally, distraught by Flavieres' incessant badgering, Renee breaks down. She insists she is not Madeleine but confesses she did impersonate her as part of a plot by her lover, Gevigne, to kill his wife for her money. Gevigne had relied on his old friend's well-known acrophobia when he chose Flavieres to be the dupe. But Flavieres had failed to play his part as witness to suicide and the scheme was ruined. Unhinged by her revelation and filled with rage as well as liquor, Flavieres strangles Renee to death. As the police are about to lead him away in handcuffs, he kisses Renee's forehead and whispers that he will wait for her. Keeping the novel's essential elements, its basic structure and plot, themes of obsession and destruction, the vague outlines of its principal characters, Hitchcock would re-imagine D'entre les morts. He would shape from it an allegory of aesthetically and technically meticulous images and sounds and with allusions to ancient myth, Medieval legend, 19th century philosophy and modern psychology. And he would endow Boileau-Narcejac's desolate tale with a romantic heart and an eternal soul. In transforming a genre piece into an enduring masterpiece, Hitchcock would also create a fascinating portrait of his own inner landscape; a work of art will always reveal the artist. At the same time, much of Vertigo's allure stems from its looking-glass effect upon the viewer. French New Wave icon Jean-Luc Godard, one of Hitchcock's great champions at Cahiers du Cinéma, could have been contemplating Vertigo when he observed, "Art attracts us only by what it reveals of our most secret self." A Month of VERTIGO began on January 1 and, over the last month (plus), has featured a series of posts by 12 diverse and talented guest contributors - and me - on the subject of Vertigo. Individually, we have scrutinized Alfred Hitchcock's great masterwork from nearly every conceivable angle. For a complete list of posts, click here. A Month of VERTIGO has been a success far beyond anything I imagined when the idea first took hold. My deepest gratitude goes out to all who have made it so - from guest bloggers and vloggers to commenters, tweeters, re-tweeters, Facebook friends and those who simply thought it was an interesting concept. A special nod to Dan Auiler whose very fine book, Vertigo: The Making of a Hitchcock Classic, inspired me to read the English language edition of Boileau-Narcejac's novel (now simply called Vertigo) - which led to this blog event. TLE, thanks for this thoughtful background study (not to mention the whole past month). I've long been troubled by Judy's motivation: for Hitchcock’s Judy, as played by Kim Novak, is not the hard-bitten film-noir mistress of the Boileau-Narcejac novel. Perhaps she could have been another man's mistress - she’s no innocent - but to be Elster's mistress would mean she knew full well what Elster was planning to do – and I cannot see Judy Barton as a murderess. 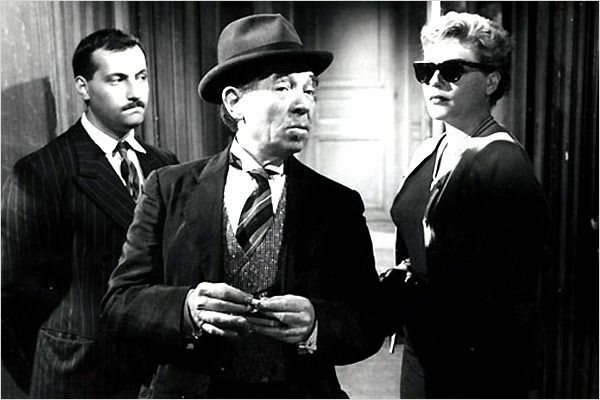 I think Hitchcock wanted her character to be softer, more vulnerable and sympathetic than her French inspiration, but never bothered to reconcile that change in her character with the motivation for her participation in Elster’s plot. The film itself treats her as an image, just as Scottie does. Like Scottie, the film doesn’t care all that much about who Judy is. This was a brilliant wrap-up to a month of brilliant posts. 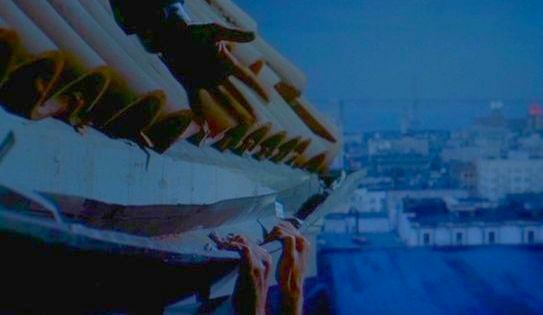 And it's a little twisted (at least in my mind) to bring this celebration of VERTIGO to a close on Valentine's Day, of all days, considering the themes of love and obsession that are such hallmarks of the movie. I find myself yearning to read the book now for myself. Thank you for putting this together and for being such a champion of this film and the bloggers who contributed posts! Eve, a great finish to a great event and a wonderful read all on its own. I like the way you began by introducing us to the writing team of Boileau-Narcejac and then placing "Vertigo" in the context of Hitchcock's American career up to that point. You took this way beyond a synopsis of the source novel and a comparison/contrast between it and Hitchcock's film. You covered the ways the film differs substantially from the novel yet how Hitchcock managed to take its essential elements and especially its themes and fashion them into something entirely personal: "Hitchcock would also create a fascinating portrait of his own inner landscape; a work of art will always reveal the artist." Very subtly stated and a wonderful general observation, only one of many such instances in your brilliant wrap-up post. I'm sure everyone who has participated in "A Month of VERTIGO" as well as everyone who has followed it will agree what a memorable event this has been. You put together a tremendous team of writers. I think you hit on a truly original idea by using one movie as the theme, and I'm tremendously impressed with the amount of planning and organization that must have been required, far more than for an ordinary blogathon where writers post at their own sites. And, of course, you couldn't have chosen a better or more appealing film for such intensive scrutiny. All in all, this will be something to remember and for all lovers of Hitchcock and "Vertigo" in particular to refer back to as a reference source. I really enjoyed reading your back story on VERTIGO - you did a superb job. There is a strong French sensibility behind it's story and characters, so it's only appropriate that it was the French who later promoted the artistic regard that Hitchcock so deserved. Thanks to A Month of “Vertigo", I’ve learned a tremendous amount about the details of how this classic was put together - the dedicated work and thought that went into it’s creation. The contributions of all of this month's writers have been varied and, in each case, thoughtful and enthused by the subject. I feel that with VERTIGO Hitchcock caught a tremendous wave of inspiration. I personally don't think it's of primary importance to focus entirely on what Hitchcock was consciously trying to communicate – that’s obviously valuable to consider - but I believe that art on this level is capable of bringing to the surface elements and meanings that are far beyond even the artist’s conscious intentions. Perhaps because VERTIGO was so personal to Hitchcock he was able to touch the deepest emotions of the audience. The artist explores his own unconscious, applies his technical expertise (which in Hitchcock’s case was considerable) and creates art that serves as a mirror into which generations that follow can explore their own inner workings – it reveals to us something about ourselves, our hearts and souls, and how we see the world around us. VERTIGO is an extremely poetic work and like the best poetry, it has it’s patterns and themes and references, but it also is intended to not be totally literal in it’s meaning. This month of VERTIGO has been a rewarding journey and a deepening view into a truly classic movie. Thank you, Lady Eve, for the imagination and hard work it took to act as mid-wife to this complicated but evocative child. Outstanding post Lady Eve - very insughtful and a great back story to the genesis of Vertigo. And thank you for organizing such a rewarding and productive collaboration. Stranger things have happened but both the literary and the film version of this story were influenced by works called "The Stranger." Albert Camus began the genre of the existential novel with "The Stranger," whose no escape story philosophy influenced Boileau and Narcejac. Then Orson Welles' movie "The Stranger" with its cinematic techniques and bell-tower setting influenced Hitchcock, though both "Strangers" seemed to bare no resemblance to each other. The only other point I would make is that to my mind a more accurate translation of D'Entre les Morts is "Between the Deaths," which is really what the book and Vertigo are both about, though one "Vertigo" title suits both. Again, thank you Lady Eve. Your "Month of Vertigo" was a huge success, Eve. You have ended it on a high note with your own wonderful post. You should be proud of yourself and to all who contributed. Congratulations on an informative, excellent post, and a marvelous series. Thank you for this wonderful insight into the novel behind the film. Obviously, Hitchcock was very faithful to the novel's key plot developments, however reimagined. It is truly one of Hitchcock's greatest films, where he thrills us with suspense not for the sake of thrilling us with suspense. It has been a great series indeed. This final chapter lays out in simple, chapter to chapter to book to film creation process the source of this river Vertigo. it will never cease to amaze me, to strike me with awe that the same stuff that made American Pie is also the stuff of Vertigo. Recipes are easy to follow. Cooking an adequate meal, some practice. Creating the dish that is Vertigo and the rest of Hitch courses, well--that is something done by that once or twice in the planet's cultural history. Thank you, m'lady for the month and this lovely reminder that all great works begin with that empty full of faith and hope first step. Bravo for a wonderful post and a brilliant month. I bow at the feet of the great Lady Eve!! Eve, this piece is a delicious icing on a fantastic series. My congratulations to you and to all who participated in this wonderful adventure of one of cinema’s greatest works and its amazing filmmaker. The background information you provide was most interesting and a great way to open to your article. It was really a great series. I didn't comment on every post, but I read every word on a masterpiece that seems to grow deeper and more haunting with each viewing. I am intrigued to learn of the history of the novel and how the film differed from the original story. I also find it fascinating how the European version differed from the American version (I thought French films tended to be more honest than American counterparts). The added scene is a bit confusing and takes away from rather than adds to the story, but I understand the censors concerns. The focus on Hitchcock and “Vertigo” has had the added benefit of leading me to the “Alfred Hitchcock Hour”, which I have been watching for about a month. The episodes all seem to date from 1962, but contain some eerie similarities to the 1958 film. One episode featured a blonde female wearing Kim Novak’s upsweep with the whirlpool center, a second episode featured John Gavin visiting a colleague in a mental hospital and bringing him his favorite sheet music, and last night’s episode was based on a novel or short story by Patricia Highsmith. Thank you again for your superb finale and for sponsoring this tremendous look at “Vertigo” the film and Hitchcock the master filmmaker. Ever thoughtful with this final post in your month of "Vertigo" event. "Event" is the right word as it transcended the usual blog-a-thons with a depth and scope rarely seen. Your post beautifully connects the film to its source and demonstrates how different takes on the same material can both be powerful in their own ways. Thank you, Wendy, for the link to your book, "The Testament of Judith Barton," I'm looking forward to reading it. Thanks again - Brandie, R.D., Christian, John, 'Gypsy and Classicfilmboy for your superb guest contributions (& for your kind & insightful comments here). And thank you - Motorcycle Boy, Kay, Kim, Jacqueline, Hep, FlickChick and Kevin for following "A Month of Vertigo" so loyally (and so often with comments as thought-provoking as the blog posts themselves). I have also really enjoyed reading your blog-a-thon. I cannot wait to see what you have planned for your future blog-a-thons. Job well done to all who participated! 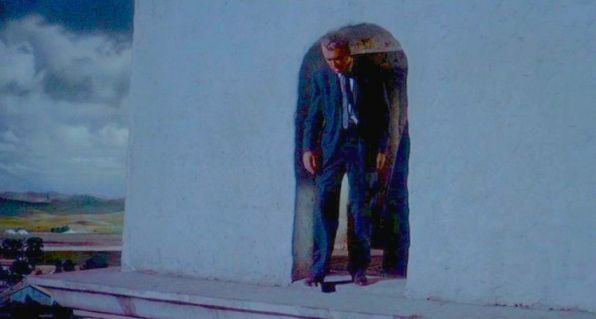 The film Vertigo will never be the same for me. Thanks, Dawn. This project has been a lot of work but, more than that, incredibly rewarding. "Vertigo" will never be the same for me either, by the way. AMC's "Mad Men" returns on March 25 and I'll be hosting a mini-event to celebrate - more on that later. Thanks again for not just following "A Month of Vertigo" and commenting (regularly), but also for promoting the event on your own great blog. Eve, as you know, illness prevented me from keeping up with your incredible month of Vertigo, but you deserve the highest of compliments for this marvelous idea and your bringing it to life. This article about the background and the book is fascinating. I always wondered what the book was, but had never made sure to read it. What a dark and eerie story. Hitchcock's vision of the story is of course magic, but the book sounds like something I would like to experience also. And of course, this article showcases your own wonderful writing talent. Congratulations on a very special idea and event, Eve. Good to hear from you, Becky, and thank you. I hope you're feeling much better. If you have the chance, the Boileau-Narcejac novel is definitely worth reading. I envisioned images and atmosphere closer to Jean Renoir's "La bete humaine" as I read it - which speaks to how fully Hitchcock asserted his own vision and artistry and made of the material something entirely his own. fantastique!!! great insight...your analysis of the novel really explains the "Gallic Flavor" of VERTIGO...it is interesting how well Americans and Brits can translate French works to film and how poorly the French do with English sources...just my opinion..and I am a huge fan of LE CINEMA FRANCAISE!!! 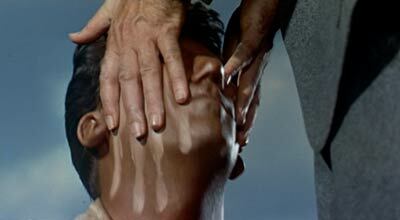 Thanks, doc, and thanks, too, for following this series so closely. A lot of work, but much reward. I think, in his prime, Hitchcock could've adapted from just about any source and made - at the very least - a fascinating film. With "Vertigo," a departure from the rest of his work, he revealed to the world that he had the soul of an artist. A surprise, no doubt, to those who saw him as simply the rotund and amusing "master of suspense."